Melbourne has got numerous places to visit. However if you are short of time, you might want to have a look at these three of them. 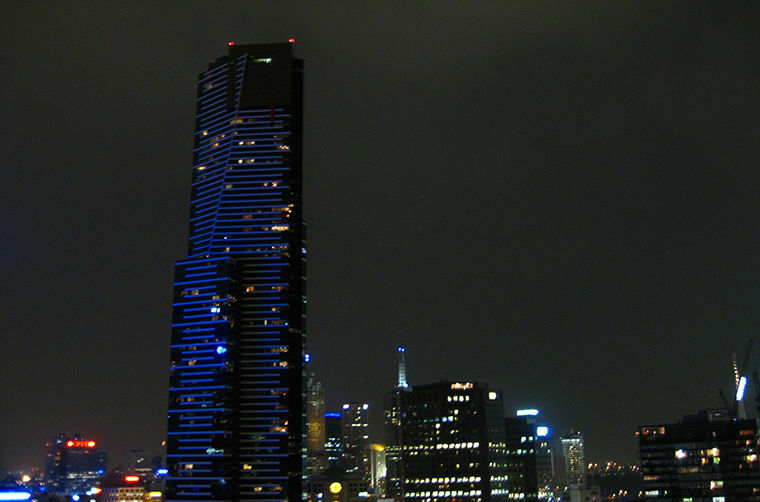 A trip to Melbourne is also an opportunity to see the southern hemisphere’s tallest building. Eureka Tower, located in the Southbank region of the city is a 297.3 m tall building, designed by the famous Fender Katsalidis Architects. The building is actually a residential apartment with an observation deck on the top floor. There are 13 elevators run up and down the building, and the observation deck is a great place to witness one of the most breathtaking views of your life. If you are looking a bit more adrenalin than being at the 88th floor of a building, you can try the Eureka Vertigo, which is a new attraction featuring the glass edge screening which will make you feel like you are holding the on for your life on 288 meters. Melbourne offers you a gate that opens to one of a kind nature in Yarra Valley. Famous for the wine yards and natural beauty that surrounds the area, Yarra Valley offers the visitors a bunch of attractions to choose from. Yarra Valley is located 90 km from the central Melbourne. You can explore this heaven on the earth as a daily excursion, or you can extend your trip a couple of days and choose one of the accommodation options that address to all different types of preferences. Traveling all the way to Melbourne and going back without seeing a kangaroo, a penguin or a koala? No, it is not going to happen! At least, letting it not happen is in your hands when you are only 140 km away from all these amazing creatures in their natural environment. Philip Island is actually a sole reason to trip to Melbourne for a majority of people; the estimated number of the people visit the island to enjoy the one of a kind nature is about 3.5 million. The island’s weather is milder than the central Melbourne and this favors the natural variety on the island. You can visit the Koala Conservation Center, make whale watching, visit Nobbies Rock Formations to see the seals, and watch the penguin parade on Summerland Beach. Just like Yarra Valley, you can go to Phillip Island daily or you can stay there and extend your joy of feeling this unfamiliar but wonderful nature integrity.